KANSAS CITY, Mo. 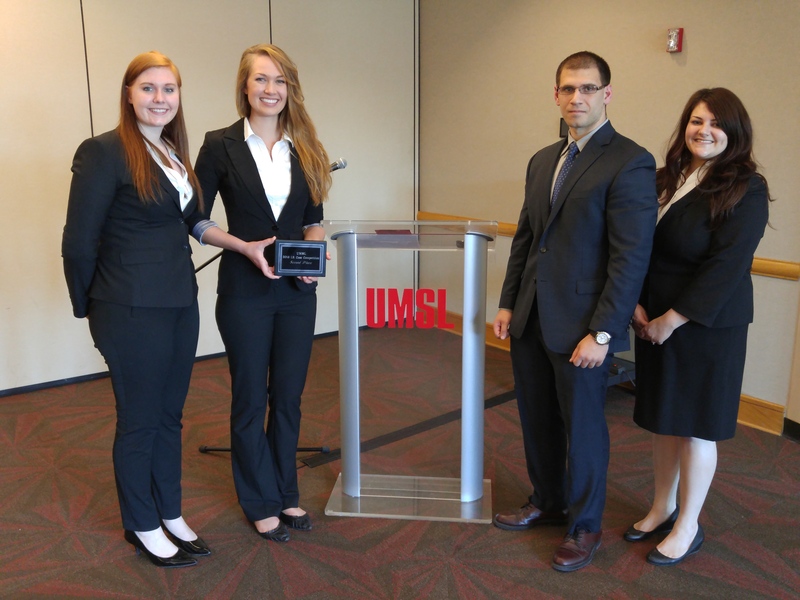 – A team of business majors took 2nd place at the in the 2016 Community Bank Case Study Competition. The students are seniors in the Henry W. Bloch School of Management at the University of Missouri-Kansas City. Maria Davis (B.B.A. ), Jacob Renner (B.B.A. ), Dakota Sommerfield (B.B.A.) and Clara Stahl (M.S.F.) made up the UMKC team. Each team produced a 15-20 page paper and a 10-minute video to promote public awareness and an understanding of community banks and to stimulate interest among undergraduates in careers in community banking. The competition theme was lending to small businesses, where each team evaluated their partner bank’s management of lending, the impact of the bank’s lending on the community and the impact on the bank’s financial performance. 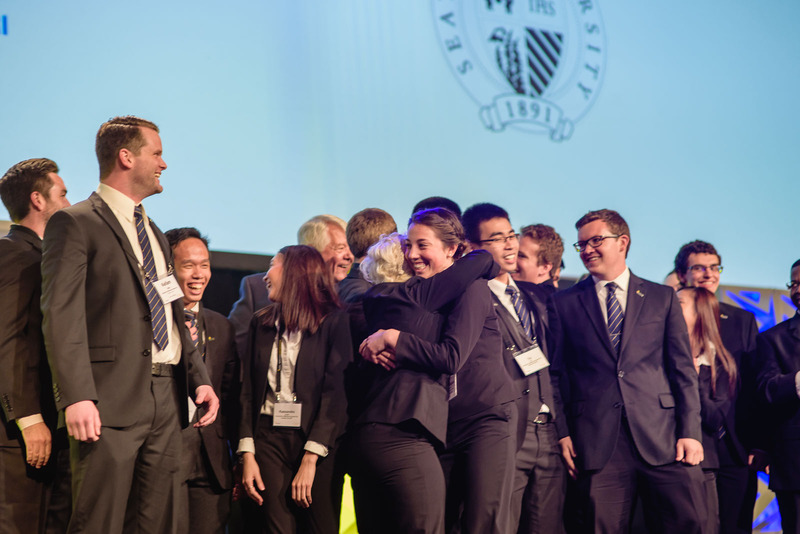 The UMKC Enactus team placed in the top 16 at the Enactus National Exposition in St. Louis May 17. They advanced after receiving the top prize at the regional competition in Chicago March 21. There are over 500 Enactus teams in the United States. 120 of those qualified for the national competition through their success at the 7 regional Enactus competitions. Of the 120 teams at nationals, UMKC was one of only 20 teams to advance to the semi-final round. This success places them in the elite status among universities nationwide and highlights the extremely high quality students that UMKC is producing. 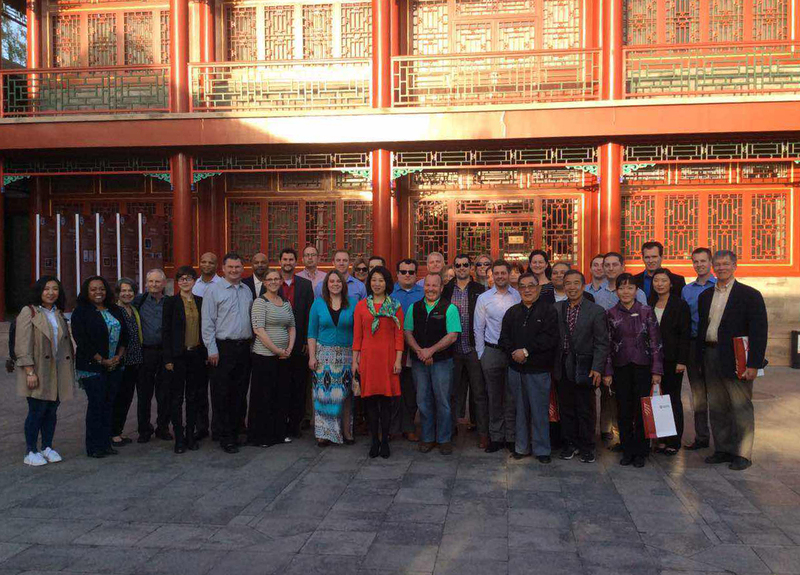 Bloch Executive MBA students recently completed their one-week international residency in China. During this week, they had the opportunity to spend time at the Tianjin Wuqing Development Zone, a national high-tech industrial park encompassing 93 square kilometers in the northwestern Wuqing District. Since its founding in 1991, the Wuqing Development Zone has attracted a total investment of 70 billion yuan, of which foreign investment has reached 60 billion US dollars. Wuqing has welcomed more than 50 countries and regions and more than 1,000 companies, many of which fall into the Fortune 500 category. In recent years, economic collaboration and international trade activities have spiked between the United States and China. According to the China Ministry of Commerce website, a quarter of China’s foreign direct investment in the non-financial category grew 55.4 percent in 2016, $5.24 billion of which was invested in the U.S. This indicates that economic and trade cooperation between the countries is growing, creating a huge space for further development. When selecting their international residency location from a vast list, Bloch EMBA students voted China as their top destination. A team of four Bloch School undergraduate students took second place at The University of Missouri – Saint Louis (UMSL) International Business Case Competition in April. Each year’s case is developed by a different multinational company exploring solutions to an existing international business challenge. The competition is judged by executives from company that wrote the case, along with other business executives in the community. The Bloch team, comprised of Amanda Cook (B.S.A. ), Thomas Flanagan (B.B.A., B.S.A. ), Claire Hansel (B.S.A.) and JoAnna Muenks (B.B.A., B.S.A. ), accompanied by faculty team advisor Michael Wizniak (MBA ’14), was assigned case that required researching and developing an entry strategy into Cuba for Enterprise Holdings Inc. Having no prior knowledge of the case details, teams were given 20 hours to develop a strategy, without assistance from their advisor, before presenting their recommendations to a panel of executives. Centered Spirit was one of 16 semi-finalists who will move to the final round of competition Friday, May 6. 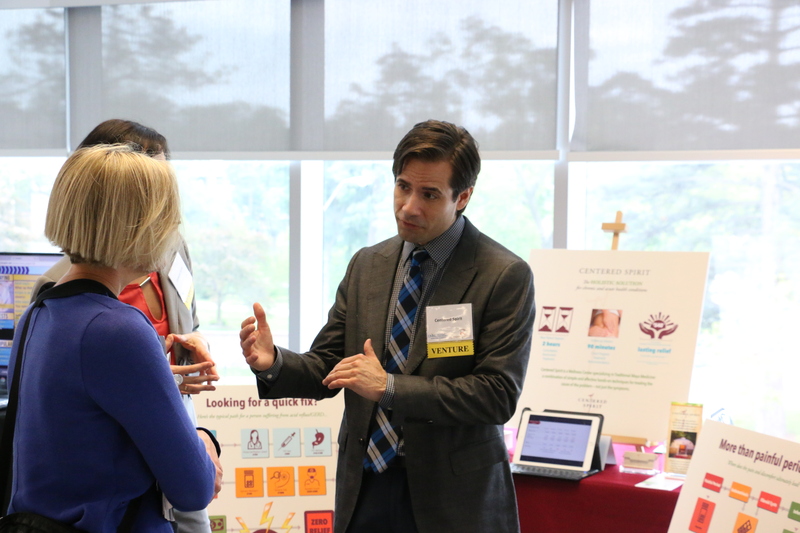 The Regnier Venture Creation Challenge kicked off its annual two-part event Friday, April 29. 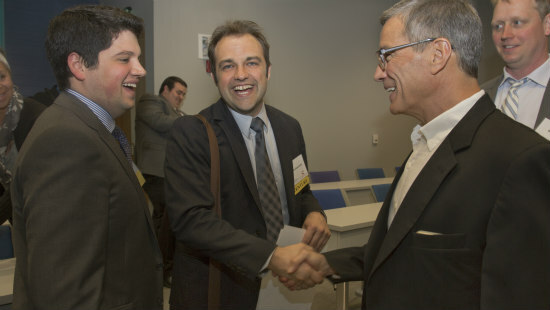 Each spring, the Regnier Institute for Entrepreneurship and Innovation in the UMKC Henry W. Bloch School of Management hosts a business plan competition in which students can present new concepts to local investors, business leaders and entrepreneurs. A total of $40,000 will be awarded with the first place team receiving $10,000.